Good news! 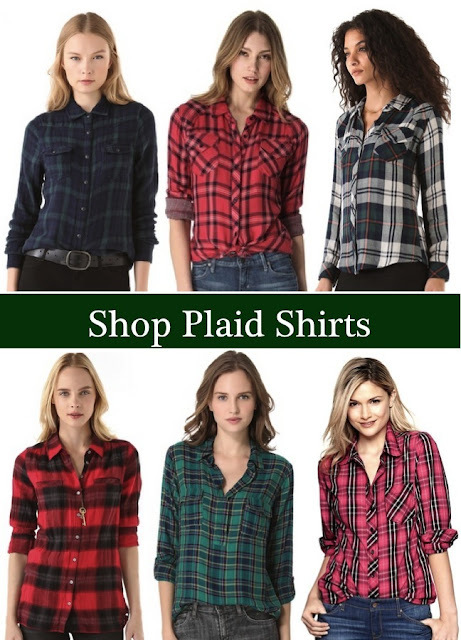 Plaid shirts aren't just for playing in a pumpkin patch or tooling around Home Depot anymore. Get creative and let your favorite plaid take you from day to night. 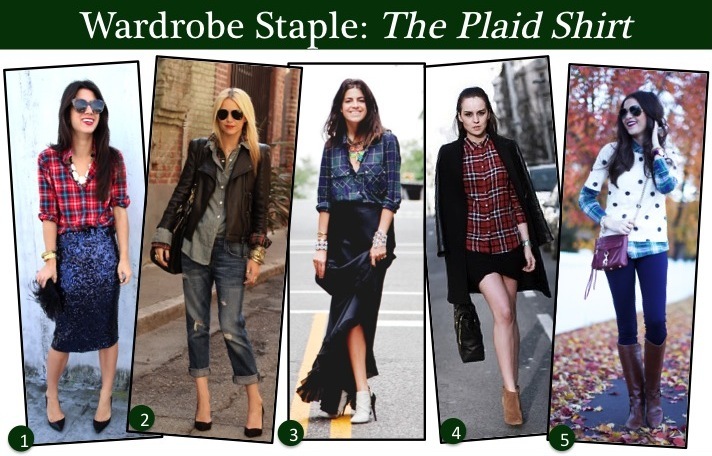 Just have a look at how some savvy style bloggers add a little plaid to their lives. 1. For a holiday fete, dress up a bright hued plaid shirt with a sequin skirt like Krystal from This Time Tomorrow. 2. Keep things cool without getting cold by layering your plaid under a shirt and leather jacket like Blaire from Atlantic-Pacific . Just the collar and cuffs peaking out is a great surprise. 3. Go all out like Man Repeller's Leandra and put on your highest heels and longest skirt to make plaid glam. 5. As Rachel of Pink Peonies shows us, don't be afraid to pair plaid with polka dots. The unexpected pattern combo makes a cute casual statement for a day date. Loooove plaid. Especially paired with another fun print! I'm dying for an Equipment plaid blouse. Couldn't agree more, I love plaid. Love your blog and these style tips!!! I have only one shirt like this, I need a few more :). I pretty much live in plaid button-downs. They're comfy, go perfectly with jeans and I like the tomboy-ish aspect to them. Im totally into plaid shirts! !